Idris Elba – The Gunslinger? CBR reports (and I use that term loosely) that Idris Elba may be the front runner for the role of Roland Deschain, the gunslinger from Stephen King’s huge work The Dark Tower. And I for one could not be happier. I’ve loved The Dark Tower books since I read the first one oh so many years ago and if there was one good thing that came out of Stephen King’s road accident a few years ago, it was that it made him realise he needed to pull his finger out and finish the books. Sometimes the story meandered and to this day I disagree with how he dealt with one of his long-term villains but overall the books were fantastic and easily rivalled The Lord of The Rings for me. 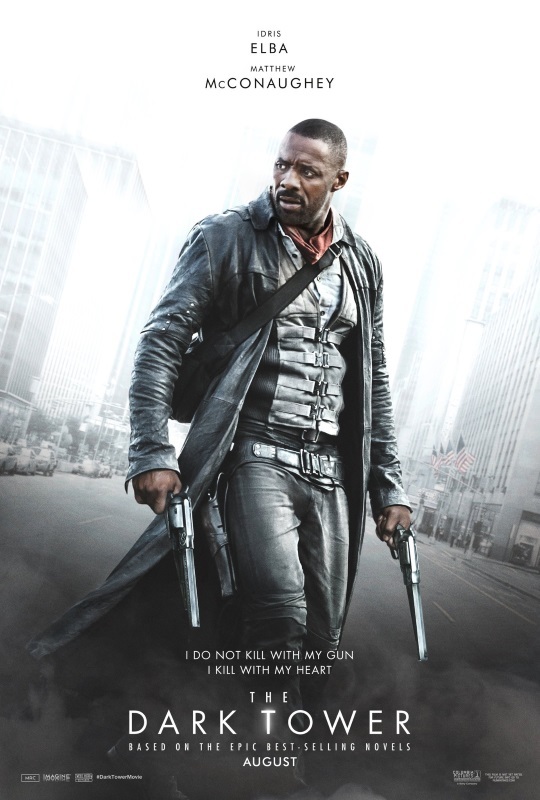 Idris Elba as the world-weary gunslinger, trudging after the Man in Black, is something that I would love to see. For all Pacific Rim‘s faults (and there were quite a few) the one thing that made me enjoy that film was Elba who stole every scene he was in and acted the hell out of the film. I would be so, so happy to see this come about. Posted on Friday, December 11, 2015 Thursday, December 10, 2015 by GaryPosted in Film/TVTagged Dark Tower.